Ok, let's get cracking and find you the best Xbox One game deals this week. We've taken a look at what the most in-demand titles are on the Xbox One and put together a comparison chart for each of them so you can see all the best prices from around the net. It's another varied selection again, with a mix of old and new faces. 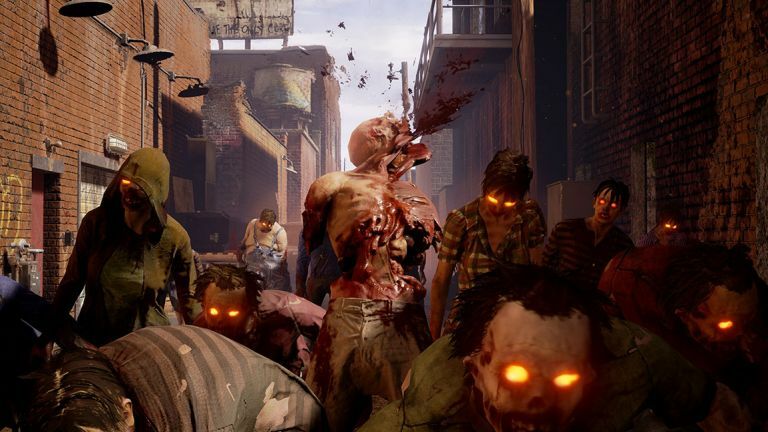 We might all be getting sick of AMC's The Walking Dead on TV, but zombies in games are still hugely popular and State of Decay 2 shows us why - it'll certainly keep us going until the next zombies mode in Call of Duty: Black Ops 4. Elsewhere, we have a freshly reduced FIFA 18 just in time for the free World Cup DLC and Far Cry 5 is still tempting shooter fans to visit the mountains and meadows of Hope County, Montana. Whatever takes your fancy, we'll find you the latest and cheapest deal. If you've been considering making the upgrade to an Xbox One X for 4K HDR loveliness, we've found a discounted bundle with four brilliant games too. The original State of Decay was a big surprise hit on the Xbox 360 and the sequel has finally landed on Xbox One. It's a little rough around the edges, but still a lot of fun. There's a bigger emphasis on community this time, making you care about the characters more when you're not busy getting messy hacking up zombies or getting splinters crafting new items from scavenged parts. Just look out for those large zombies, they're quite found of ripping you and your AI companions to pieces. Rude. FIFA 18 is one of those games that sells well all year round, but we've seen a boost in sales this week for a few reasons. The World Cup is just around the corner and EA has just released an official World Cup DLC expansion for the game for FREE. Remember when this used to be released as it's own game? We definitely prefer this EA, and look there are no loot boxes on the pitch! FIFA 18 seems to be on promotion at multiple stores too, driving the price down to tempt any late season holdouts. Far Cry 5 has been out a few weeks now, but that fantastic open-world setting and great reviews makes this one of the biggest games of the year so far. Hope County, Montana is yet another change of scenery for the series, even if some gameplay elements feel a bit familiar. Taking its cue from Far Cry: Primal you can now hire AI animal buddies like dogs and bears to take down enemy encampment - bears aren't for you stealth specialists though to be fair. You can now play the entire game in co-op too instead of specified missions, which is a feature we've wanted for a while now. Take a look at the latest prices below. Considering many stores are still charging £450 for the Xbox One X alone, we think this is an incredible deal from Currys as it comes with four brilliant games worth at least £80 if you really shopped around for the cheapest prices. So you're essentially saving £100 with this Xbox One X bundle. Looking for more games? Check out our picks of the best Xbox One games.